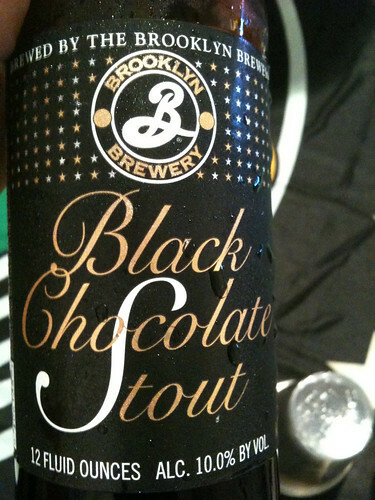 Brooklyn Black Chocolate Stout ’10-’11 is a go! Happy days are here again, as one of my all-time favorite beers, Brooklyn Brewery’s Black Chocolate Stout, is beginning to land on store shelves. Black Chocolate Stout comes out around this time every year, and it’s an amazing chocolate bomb. Sweet, smooth and boozy (you can read more about it in my guide to the world’s top 100 beers). It will be pretty common in 4-packs on NYC beer store shelves for the next month or two, and will be easy enough to find on tap at beer bars. You should do what I failed to do last year — buy a few 4-packs to last you throughout the year, because once it’s gone, it’s gone. Also, last year the girlfriend convinced me it was a good idea to make a beer float with Brooklyn BCS and vanilla ice cream. I was skeptical to say the least, but it turned out to be great. It’s definitely a once-a-year treat, though. Give it a try. Has the abv changed with this beer? I remember it being stronger yrs ago.